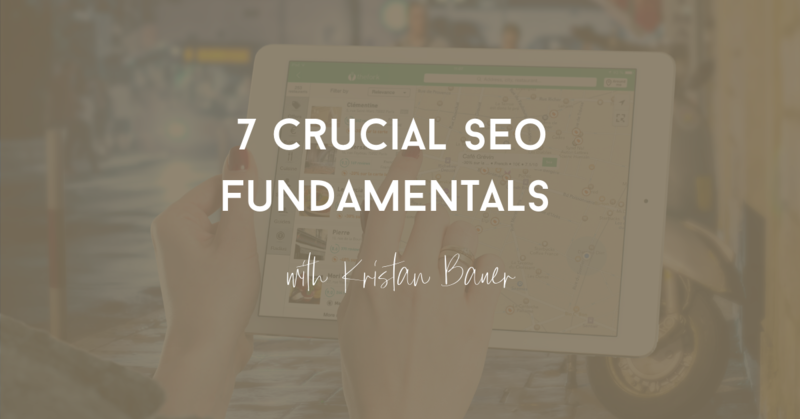 If you manage a website, there are seven SEO fundamentals that you should know. Learn these SEO fundamentals to set your site up for long-term organic growth. Search engine optimization (SEO) practices can seem limitless. SEO tactics and techniques range from extremely complex to surprisingly simple. As an industry, SEO tends to evolve quickly. However, there are SEO practices that will never become obsolete. These SEO fundamentals will never go out of style and will provide a solid SEO foundation to set your site up for organic growth. Understanding your audience is a basic marketing concept that is equally important for SEO. The goal of SEO is to help your website become more visible in organic search, not just for any topics but for the right topics and to the right people. Understanding who you’re trying to reach with your website and how they search is fundamental to crafting your online content. Organic search starts with a question or query. Ultimately, the goal is to provide an answer to that user’s query. Knowing what interests, questions and behaviors your target audience has is crucial to crafting relevant content. 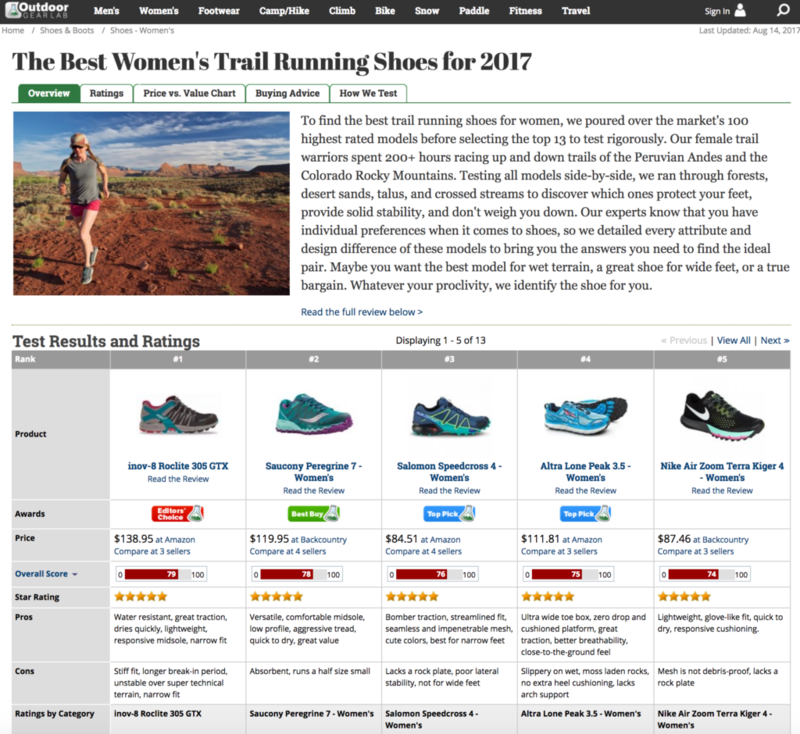 For example, if I’m searching for “women’s trail running shoes reviews,” then I’m likely still researching shoes and trying to identify which trail running shoe to buy. 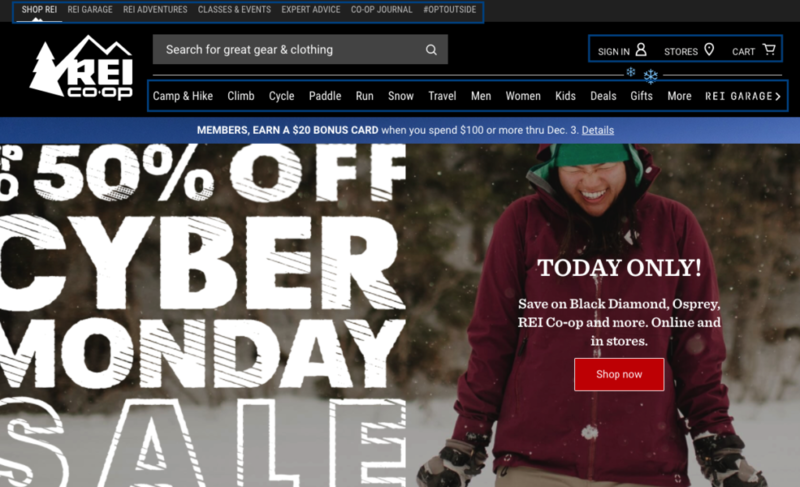 I’ll likely want to read the Outdoor Gear Lab’s result (below) on “Best Overall Women’s Trail Runner” and browse the product reviews. 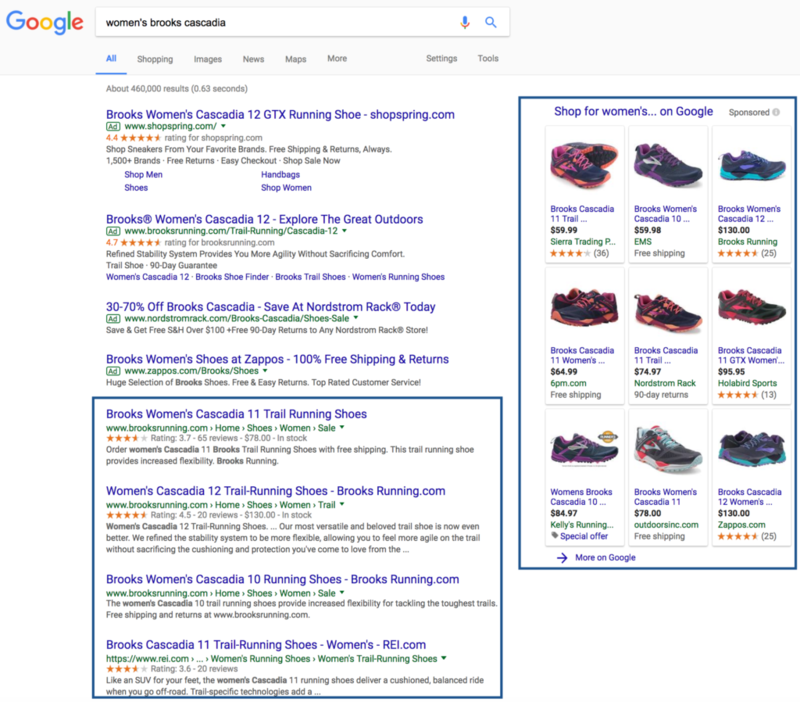 However, if I search for “women’s brooks cascadia size 9,” I might be closer to the conversion funnel and know exactly what I want to purchase. 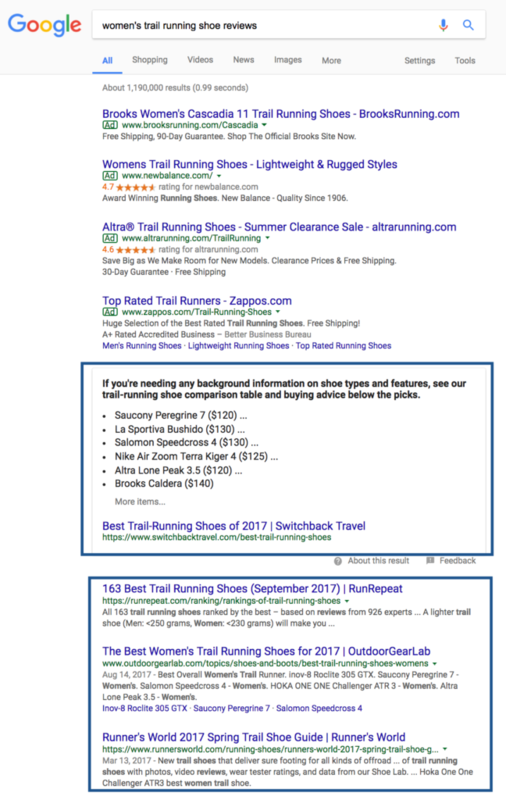 Google’s results should reflect the change in searcher intent to serve more specific product results. This concept is understanding what questions your target audience has and their search intent and creating great content to answer those questions. Review user behavior via social media channels and your own analytics. What content does your audience engage with the most? 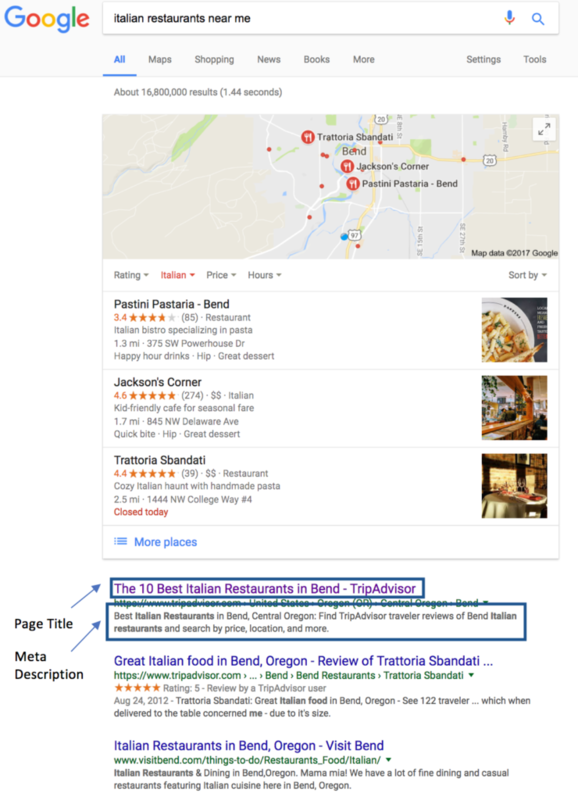 Review competitive examples via search engine results pages (SERPs) to see what your competitors are doing and what results Google thinks are relevant. Google will serve what it thinks are the most relevant results for a user’s query. Research your demographic via third-party research applications. Conduct user interviews of your actual customers. Do keyword research via Google AdWords, Google Trends or other third-party SEO tools such as SEMrush or Moz Pro. Now you’ll have a better idea of who your audience is and how they are searching. This will help you craft your content to become more relevant in organic search. User experience has always been important for websites and businesses. However, there are certain user engagement metrics that have become more important for SEO rankings. Understanding how a user engages with your site and creating a great web experience will not only help you retain that customer but also help your site rank better in organic search. Relevant calls to action when applicable (e.g., a clickable phone number for local businesses). Google understands the click-through rate (CTR) and bounce rate for websites. It’s been known to test results higher or lower depending on CTRs for that result from SERPs. Site speed is a major factor when evaluating user engagement. A faster site can greatly improve conversion, and the converse is true for a slow site. For every 1-second delay in page load time, there is a 7 percent drop-off in conversion. Check out your site speed with Google’s PageSpeed Insights, and see what can be improved. Additionally, mobile friendliness is extremely important as the majority of users are now searching on mobile. 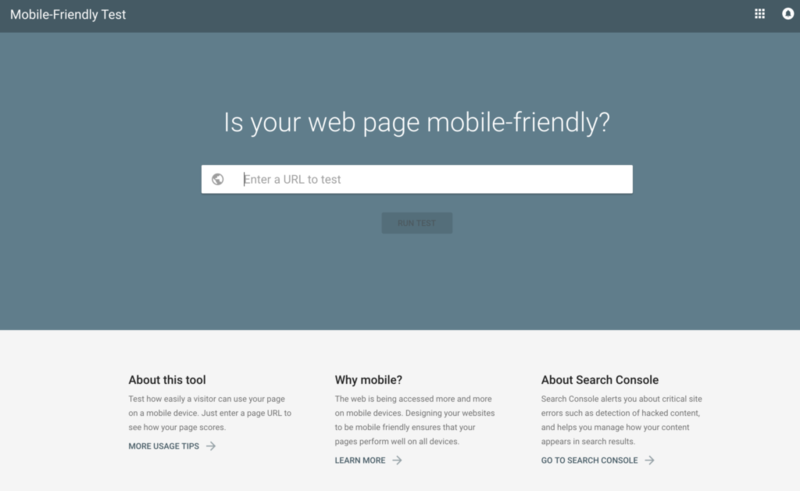 Check if your website is mobile friendly with Google’s Mobile-Friendly Test. Investing in quality content is a no-brainer. Content is how you reach your audience. Understanding your audience and creating compelling content is a critical component to growing your online traffic and increasing your brand awareness. This all starts with understanding your brand’s audience and doing the proper research to identify the type of content they’re interested in. This could be through keyword research, competitive research or audience behavior research. Creating quality, long-form content is what will help you skyrocket to the top-ranking positions. Numerous industry studies have shown that there is a high correlation between long content and higher rankings. Obviously, there are other factors that play into top rankings, but long-form content can help. A recent analysis by Backlinko showed that the average Google first page result contains almost 1,900 words. That’s a long article! Additionally, regularly curating new content or updating existing content can help show that your site is “fresh” in the eyes of search engines. Ensuring that your content is fresh and up to date can be helpful in showing search engines that your content is quality and current for users. Fresh content will also encourage more frequent crawling of your site and content. When SEOs refer to “on-page elements,” they typically mean title tags and meta descriptions. However, we’re going to take it a step further to include heading tags and images within our on-page optimizations. A page’s title tag and meta description are very important for a variety of reasons. It’s the first interaction a user could have with your brand (from organic search). Title tags are direct scoring factors for ranking. Both title tag and meta descriptions heavily contribute to click-through rates (which is an indirect factor in ranking). The keywords from a user’s search are bolded within the meta description, further increasing the information scent. Although I’m a huge fan of creating tests to find the perfect title and description combination, there are a few ways you can optimize titles and descriptions without testing. Ultimately, you want title tags and meta descriptions to reflect the core topic of your page. This may include understanding your keyword research and main content topic. Consider keyword placement in title tags and meta descriptions. You want to have your core topic integrated prominently in both and include relevant keyword variants. Include a call to action in your meta description to encourage reader click-through. 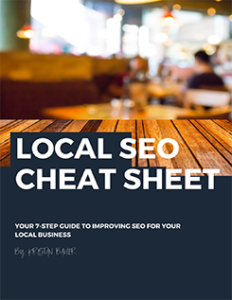 Keep in mind the length of your title and description as they will cut off in the SERP at approximately 60 to 70 characters for the title tag (600 pixels) and 150 to 160 characters for the meta description. Select control and test buckets. These should be fairly similar in terms of traffic consistency and market. If you don’t have similar control and test variations, then run a test group and a control back-to-back to monitor results. Allow the test to run a specific amount of time (at least three to eight weeks to allow search engines to pick up and re-evaluate the new content). Monitor performance results in analytics, webmaster tools and keyword ranking platforms. Evaluate before and after results, including organic traffic and keyword ranking. Select the winner with the result that showed the most growth. Heading tags help structure a page semantically for both users and search engines. Heading tags provide a frame of reference for users and are useful for targeting key terms on a page. In the page’s code, you can markup heading tags as h1, h2, h3, etc. Although all heading tags should be carefully selected, the most important heading tags for rankings are h1 and h2. When optimizing your h1 heading tag, consider the key elements you’re trying to optimize the page for and what makes sense for users when they land on the page. This heading tag makes sense for the page’s content and is relevant to my query. A page’s h2 heading tags will likely be supporting headlines that are secondary to the h1 heading tag. If you’re updating heading tags for a blog article, content management system (CMS) platforms, such as WordPress, should be able to easily designate heading tags within your editing tool. Images are visually helpful for readers, but optimizing image tags are important for search engines. Images provide another contextual element to optimize within a page’s content, specifically the image alt attribute (or alt text) and file name, which are both elements within the code. By optimizing your image alt text and file name, you can reinforce the relevant and descriptive keywords for a page. Both the image alt text and file name should be a short, descriptive phrase that accurately describes the image. Think about the keywords you would use to describe the image and the core content of your page. 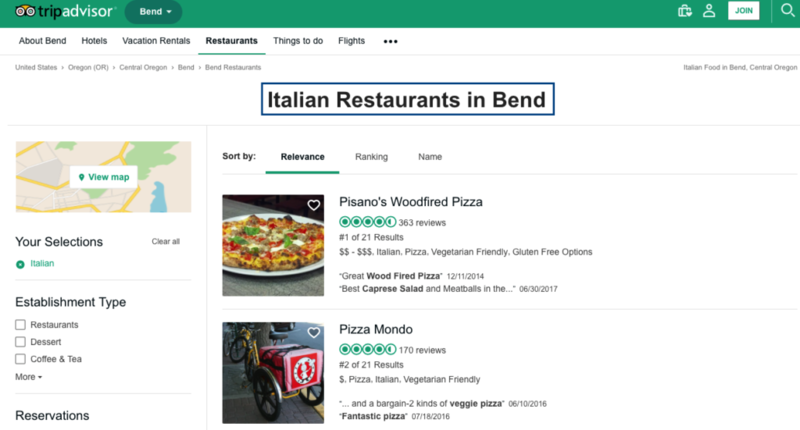 The image alt text and file name describe the local pizza restaurant. Notice how the image file name includes all lowercase words separated by hyphens. This creates a standardized system and better readability for search engines. If you’re editing images in WordPress (or another CMS platform), there will be fields to include information about the image, including image alt text. No one likes to land on an “island” page where they can’t navigate to other areas of the site. The same is true for search engines. If a page isn’t accessible from the site or doesn’t link to other areas of the site, it can be considered low-quality content and specifically a “doorway” page (per Google’s quality guidelines). This page will miss important internal linking signals from other pages. 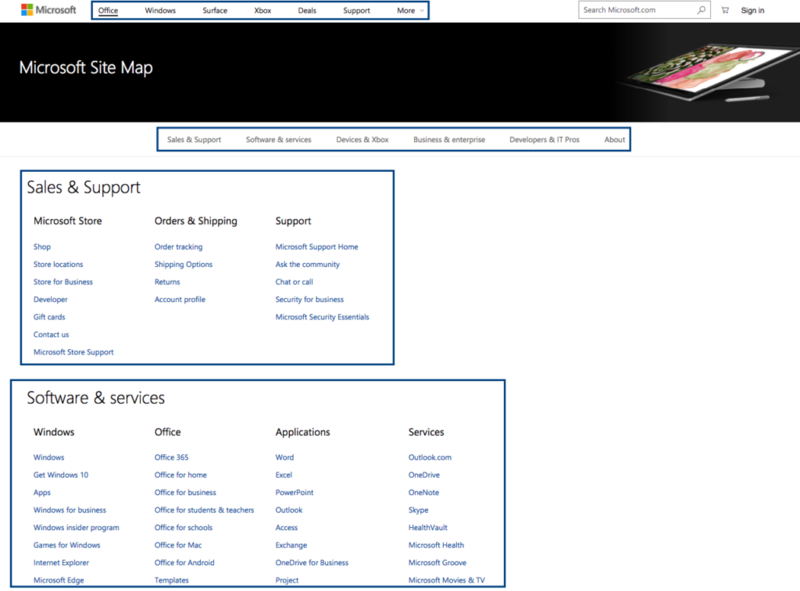 Additionally, the terminology and organization of your site’s navigation matter. Research the categories and phrases that will be helpful to your user. By grouping them in thoughtful categories and making the site’s most important pages easily accessible, this will aid in user experience and search engine accessibility. 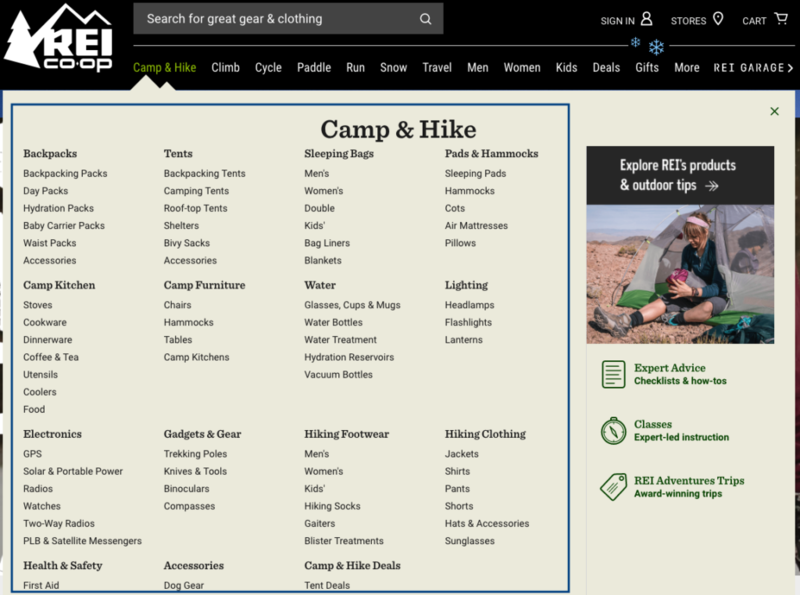 REI clearly thought about what would be helpful for a user and the most important areas of the site for navigational purposes. Additionally, linking to these important pages within the main navigation denotes their significance to search engines. You don’t have to repeat links from the navigation in the footer, but be cognizant about the accessibility of page types and what you think is helpful for users. In addition to creating a clear site architecture, having consistent and clean URL structures can aid in the organization of your navigation, page hierarchy and analytics tracking. Think about the subfolders off the root domain (i.e., https://www.youresite.com/new-page/) and keywords used in URLs when organizing pages. Both concepts are very important and represent very different SEO tactics. Because we talked about site architecture above, this section will focus on the latter: page errors. Page errors (also known as crawl errors or HTTP status errors) can occur when an unexpected response is generated from the server. This can happen for both search engines and users. When Googlebot crawls a site, it can hit these site errors when following links or crawling pages from its cache. Users can hit these errors when landing on a page from the site’s internal linking structure or from organic search. 500 server error, an unplanned (or planned) server failure, likely due to server connectivity issues. To identify any crawl issues on your site, start with the Crawl Errors report in Google Search Console to get an idea of any errors your site is serving. The Crawl Errors report will outline the type of error, example URLs, date of error and any internal links pointing to the error page. Use these tools to identify any unknown issues with your website or clean up these errors (consider 301 redirecting them to the most relevant page). Too many crawl errors can cause low-quality issues on your site and create a poor user experience. 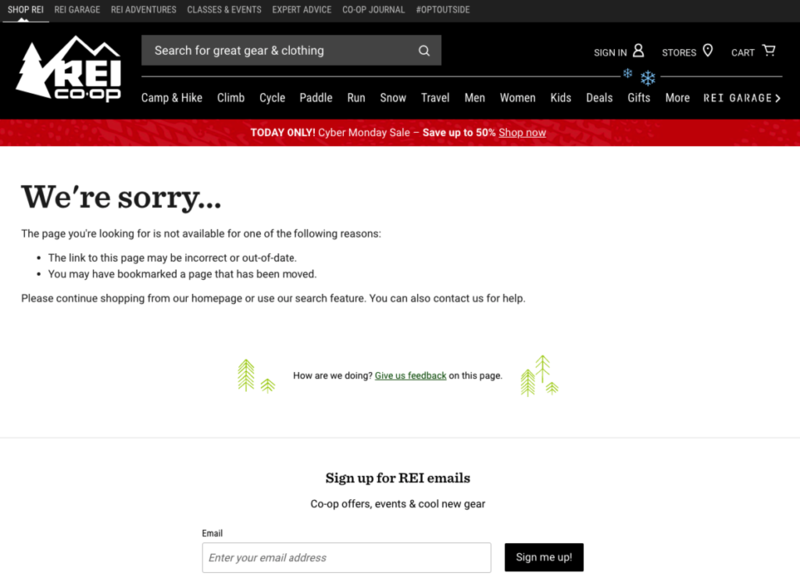 No one likes to hit a “page not found” error when trying to access useful information! Crawl networks are extremely important for search engines. It’s how they discover and index new pages on your site. Let’s think about how Googlebot crawls a site. It starts with links on a page and follows those links to new pages until it (hopefully) has complete coverage of your site. Google takes these discovered pages and includes them in its web index, ready to serve for relevant search queries. A clear site architecture and navigation can create a very good internal linking network for key pages on a site. Other areas of internal linking can include, but are not limited to, breadcrumb links (mostly seen on e-commerce sites), contextual links (within an article) or an HTML sitemap. An HTML sitemap is commonly linked from the footer and contains coverage of the site’s most important pages. If your site is small enough, you might be able to include all your site’s pages within an HTML sitemap. XML Sitemaps are another extremely important tool when prompting Google’s crawl queue and encouraging indexation. XML Sitemaps are essentially categorization of your website in a .xml file that is quickly digestible and easy to follow for search engines. XML Sitemaps can then be submitted to Google Search Console and Bing Webmaster Tools for crawling and indexation monitoring. Just because a page is included within an XML Sitemap doesn’t mean it will automatically be indexed. There’s a lot more that needs to be considered for indexation and crawl rates. There are also other elements to consider, including optional (recommended) tags such as priority, lastmod and changefreq. There’s a lot to unpack with XML Sitemaps, and Moz has a great guide on how to use XML Sitemaps properly. If you’re on a WordPress site or have a fairly small site, there are free tools and plugins available to create an XML Sitemap. Check out Screaming Frog’s crawler, which can crawl your site and generate an XML Sitemap for your site. 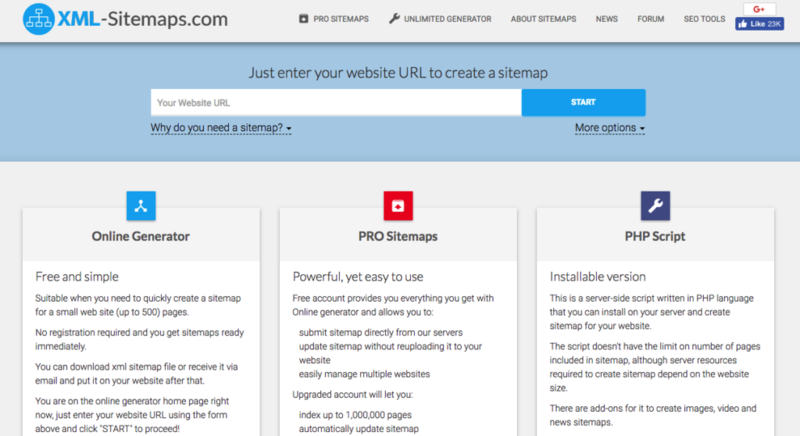 There’s also the XML-Sitemaps.com free sitemap generator tool. Obviously, one basic fundamental is having your tracking and analytics in place. Without analytics, there’s no barometer in how your SEO efforts are performing. 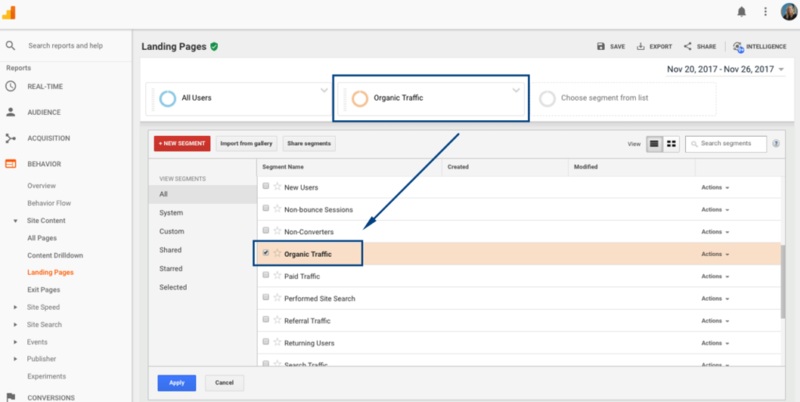 Be sure to have proper Google Analytics (or whatever tracking tool you are using) tagging across the site and also webmaster tools set up (including Google Search Console and Bing Webmaster Tools). Webmaster tools are how you can communicate to search engines (Google and Bing) regarding important elements of your site, including crawl errors, XML Sitemaps and search analytics (as discussed above). 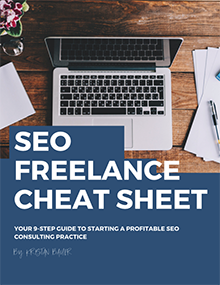 What SEO fundamentals have you found work best for your site? Or what SEO fundamentals do you tend to get stuck on? I’d love to hear from you in the comments below. Yes, having a great user experience is so critical these days! My blog theme had one already built in but I think the reCaptcha one typically works well!